Our Texas genealogists are available to research on location. They will find and analyze the best records available to further your family history research. They can search the archives and libraries in Texas, as well as help you with other special requests. Our researchers are available to visit local archives and libraries to access unique record collections to help with your research. Below is a list of a few of the archives our Texas researchers have access to. The Texas State Archives are located in Austin. Their collections include published histories and vital record indexes. They also hold census and military records. Their newspaper collection includes issues dating back to 1864. The archive also contains voter registration lists. The Dallas Public Central Library is one of the largest genealogical repositories in the south. It contains 112,000 volumes, 65,000 microfilms, 90,000 microfiche and over 700 maps. The library’s holdings also include state and county marriages, probates, deeds and tax abstracts. The Center for American History at the University of Texas includes a large collections repository for historical documents and photographs. The Texas legislature chartered the Stephen F Austin State University in the early 1900s. The university held classes for the first time in 1923. The historical and genealogical records at the university include photographs, maps, and historic books. The university also maintains materials from the East Texas geographical region. The National Archives at Fort Worth is a center for both historical and genealogical resources. The center holds archival and microfilm records, including census records for all 50 states. The archives have military service records, passenger arrival records, and bounty and land warrant applications. Our Texas genealogists can also find Dawes census cards and enrollment for the Five Tribes of Oklahoma at this archive. The Daughters of the Lone Star Republic was organized in the 1890s. The organization later became known as the Daughters of the Republic of Texas (DRT). 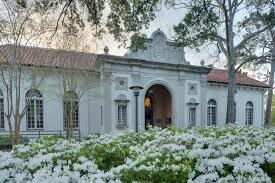 The Daughters of the Republic of Texas Library contains historical documents of the Alamo and Texas. The library also holds records regarding people who experienced life in the Republic of Texas between 1836-1846. 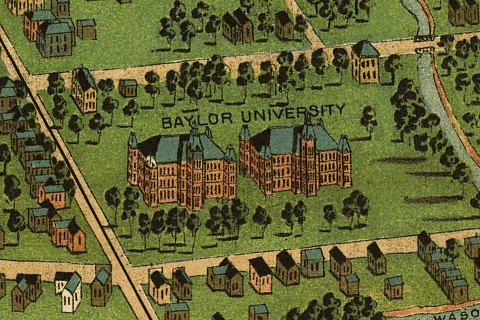 The Baylor University Archives include the Texas Collection. The Texas Collection is the university’s oldest special collections library. It contains medieval manuscripts, early American tune books and manuscripts of contemporary composers. A sheet music collection from the 19th and 20th centuries is also held here. Additionally, the university’s archives include papers of modern educators and artist book collections. The Texas State Genealogical Society (TSGS) was founded in 1960.The society researches, records, maintains, and distributes genealogical and historical records in Texas to promote family and Texas history. The society publishes a quarterly journal, Stirpes, which provides helpful research materials to genealogists. These include case studies, research methodologies, DNA testing articles, and more. Our Texas genealogists must be members of the society to access this information. The Rosenberg Library Archives includes tax, birth, school, marriage and death records. The library also contains funeral home and cemetery records, passenger lists, and naturalization records. Galveston city directories from 1859 to 1881 can be found here. The library also has church records and newspapers. Our Houston, Texas genealogists are available to visit the local archives and libraries in the city to further your research. Some of the repositories they are able to visit in Houston are listed below. Researchers can find the African American Library at the Gregory School in the Edgar M. Gregory School. The school was the first public school for African American students in Houston. The library is a special collections library within the Houston Public Library system. The resources include rare books, materials and oral histories. The Houston Oral History Project preserves the dynamic history of Houston through the stories and experiences of its residences. It is a collaboration between the Mayor’s Office, the Houston Public Library and the University of Houston. The Houston Public Library contains the oldest and largest collection of government publications in the Houston area. They also have 19th century newspaper archives, and biography and genealogy indexes. The Houston Metropolitan Research Center is an archival branch of the Houston Public LIbrary, focusing on the history of the city. It contains approximately 4 million photographs and 150,000 drawings. Their holdings also include 15,000 rare books, dating back to 1520. The rare map collection includes 300 maps of Houston and the southwest. The research center is also home to an oral history collection. The Clayton Library Center for Genealogical Research is located in Houston’s Museum District. Their collections contain materials for all 50 states and foreign countries. The library contains 100,000 books and 3,000 periodicals. They also have 70,000 reels of microfilm. Local Houston area collections include the Boulevard and Fogle West Funeral Home Records and the City of Houston Death Records. The library also has census records, passenger and immigration sources, military records and family histories. Our Texas genealogists specialize in researching several types of documentation and are not limited to the list above. For more information or specific inquiries about our genealogists, please feel free to contact us.